Japanese manga has been in a state of decline for the past twenty years and in 2017 sales decreased 12% from the same period in 2016. Despite the decline, manga is still huge business and overall sales amounted to 600 billion yen, which is around $5.34 billion US. Lite Novels, books and magazines generated 1.37 trillion yen, which is around $12.20 billion US, a 52% decline since the market peak in 1996. 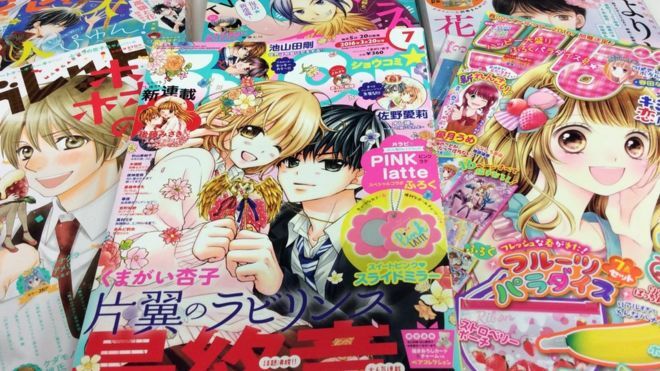 The manga market is not isolated, meaning it is not without its synergy in other markets. Consider the top 10 grossing films in Japan in 2017 made by Japanese, 6 are animated features, two are films based an manga, and only two have no clear connection to manga or anime. In a word: manga and anime dominate Japanese culture like no other. it’s what manga had coming and it’s what it deserves. it’s filled with nothing but horrible cliches and has been nothing but marketing tactics these recent years. even anime fans theirselves are complaining about how nothing is new. meanwhile webtoon is dominating the market and will continue to do so for very long. what kind of proof is that? hardly anyone reads books anymore, of COURSE most adaptions are going to be from comics. also just look at marvel. infiinity war brought 630 million in its first weekend, but that does not solve the incessant problem marvel has with its comics, which its sales are dropping month by month. same with DC. so using those examples hardly mean anything. i almost died from such an intelligence response.